Part I in this series is here. 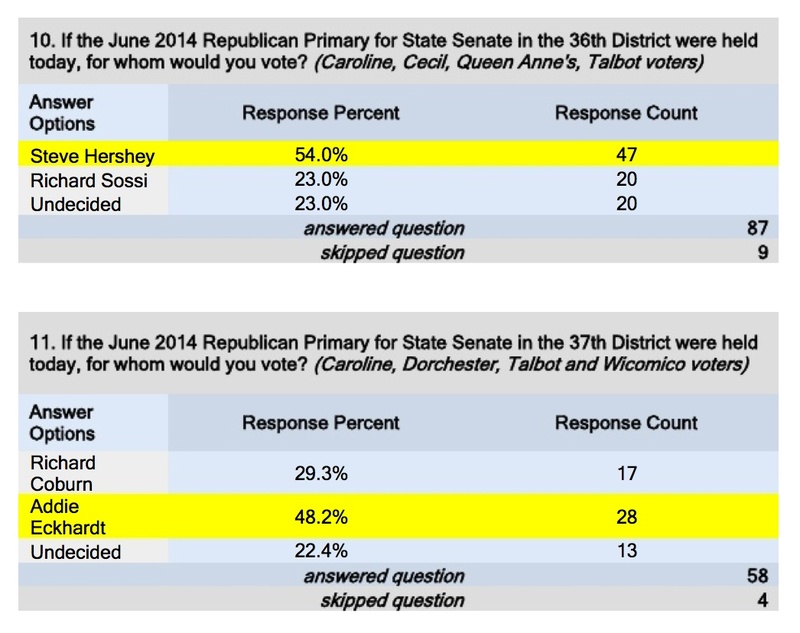 District 36 (R): This one is a complete grudge match between Sen. Stephen Hershey and former Del. Richard Sossi. Hershey beat Sossi, a two term delegate, by just 124 votes out of 10,774 cast in the 2010 Republican delegate primary. 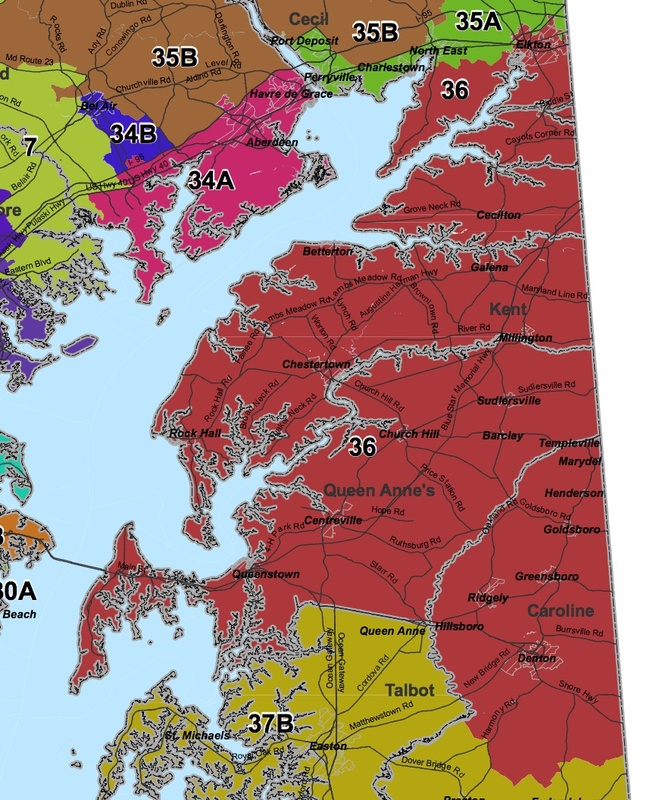 Unique among all districts in the state, voters in District 36 may not cast a vote for more than one delegate from each of the four counties in the district. Hershey and Sossi are both from Queen Anne’s, so their primary was a head-to-head contest between them among Republicans across the entire district. In the meantime, Hershey has continued to move up in the world. When E.J. Pipkin decided to leave not just the Senate but the State, many, including Hershey, Sossi, and Del. Michael Smigiel, applied for the vacancy. Vacancies are usually chosen by the county party central committees of the party that held the seat. Four Republican Central Committees–Cecil, Caroline, Kent and Queen Anne’s–were involved in the decision. However, two voted to support Smigiel while two others supported Hershey, so Gov. O’Malley got to make the final choice between the two men. O’Malley stated he picked Hershey due to his broader support in the last election but others speculate that Smigiel never had a shot due to his implacable opposition to O’Malley’s gun legislation. Smigiel vowed to run for the seat but ended up filing for reelection. Between leaving the House and filing for the Senate seat, Sossi served as Congressman Andy Harris’ liaison to the same four counties that he represented as a delegate–not a bad job for someone seeking to return to office. Hershey has the money advantage–$38K to $28K for Sossi–but Sossi can attempt to close the gap during the session. He’ll also have more time to campaign with no day job. At the same time, it’s hard to overlook that he’s damaged goods after having lost and failing to gain the endorsement of any county central committee. 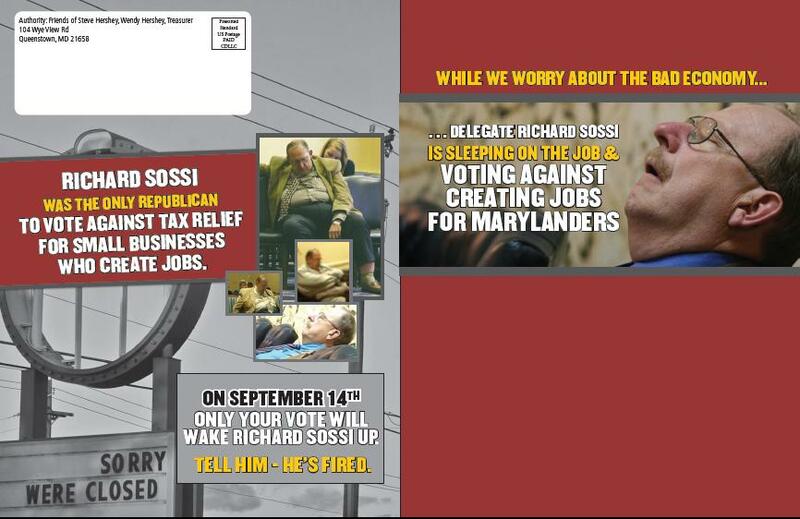 One potential boost to Sossi would be if Rep. Harris endorsed his former employee. But so far, Harris has not tipped his hand in the press and has made no donation to either candidate. Sossi would also gain if his former delegate colleagues agreed to slate with him. I have no information on that front (feel free to post on Seventh State’s Facebook page). Right now, it’s hard to see why–having turned him out of office–the voters would turn back to Sossi over a candidate who is now stronger as an incumbent. Rating: Lean Hershey.